Are you looking for fast and comprehensive driving lessons? 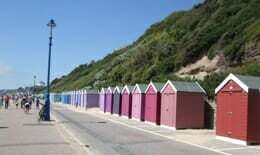 Smart Drive UK offers intensive driving lessons in Bournemouth and the surrounding area. Our intensive driving lessons are incredible efficient when it comes to helping teaching drivers the ropes in a quick-fire, fast paced and thorough manner. Do you already have some driving experience? Intensive driving lessons are a great way to quickly boost your skills even further, putting you in position to pass your driving test that much sooner. Here at Smart Drive UK we excel at providing quality intensive driving lessons to a wide variety of learner drivers. Talk to us today and we guarantee you’ll have a pleasurable learning experience. You no longer need to travel out of Bournemouth, nor pay through the nose in order to get quality driving training, in a manageable time frame – our intensive courses can be as short as 6 days depending on your skill level. Before booking for intensive driving lessons, we’ll make sure that you’ve received your theory certificate, otherwise you will not be allowed to take your practical test as part of the intensive course. It is important to keep in mind that whilst we offer the best intensive driving lessons in Bournemouth, they are not for everyone. Similarly, there is no guarantee that you will pass your driving test first time – all we can do is teach, the test day is all down to you! That said, all of our driving lessons here at Smart Drive UK are conducted on a one to one basis. Your intensive driving lessons will not be shared by someone else, nor will you be asked to pick up another client on your way to lesson. Convenience is our watchword so you will never be required to go out of your way to learn how to drive with us, and we’re proud to be one of the few driving schools in Bournemouth that can offer this guarantee. Patient and understanding driving instructors. Manual and Automatic intensive driving lessons. Mouth-watering discounts for block bookings. Conducive learning environment for nervous pupils. Flexible learning hours 6 days a week. No car sharing, one-on-one learning guaranteed. Fully qualified instructors that excel at delivering intensive driving lessons. Reliable service from a renowned driving institution. To make an enquiry about our intensive driving lessons or to make a booking, you can call us on 017 9778, 01903 691002 and 07760 767170. Or, if you prefer, send us a text with your name and area details to 07760 767170. First lesson is free for Pupils with experience. Here at Smart Drive UK, we have made it simple to book your driving lessons. To make a booking today give us a call on 0845 017 9778 or 01903 691002. If you have any other enquiries you’d like to make, you can contact us on 07760 767170. We also receive texts on 07760 767170 and are happy to call text senders back, as long as you drop your name and address in the text. Alternatively, you can submit your queries through our website and a member of our team will respond as soon as possible. To contact us online, or make a booking for your driving lessons in Bournemouth, please click here. We guarantee you an engaging, enthusiastic, comprehensive driving lesson experience, so go ahead and book with the leading driving school in Bournemouth today! 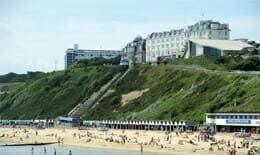 Bournemouth is a large coastal resort town on the south coast of England directly to the east of the Jurassic Coast, Bournemouth forms the South East Dorset conurbation, which has a total population of over 465,000. 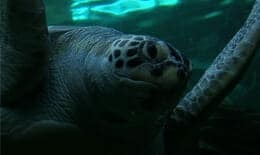 The Bournemouth Aquarium; located on the seafront in Bournemouth offers visitors a journey around the waters of the world. 10 recreated environments include the Amazon, Key West, the Mediterranean, Abyss and more. The M27 is one of the main motorways used by Bournemouth residents. 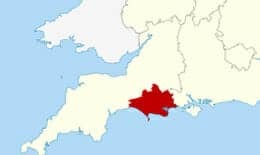 It is 25 miles (40 km) long and runs west-east from Cadnam to Portsmouth. It was opened in stages between 1975 and 1983. . The Bournemouth International Centre is one of the primary venues for conferences, exhibitions, entertainment and events in southern England. It is well known for hosting national conferences of major British political parties. The main road west from Bournmouth the A35 to Honiton in Devon which runs through the South East Dorset Conurbation and continues east as far as Southampton, albeit as a non-primary route. The A31 is part of the ancient route from London to Winchester. The road begins in the centre of Guildford, meeting the A3 before running dualled WSW along the Hog’s Back escarpment. 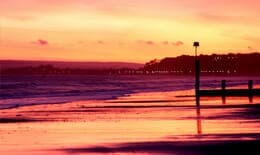 Bournemouth Airport is located 3.5 north-northeast of Bournemouth, in southern England. 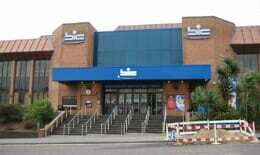 Bournemouth Airport opened as RAF Hurn in 1941 and began commercial services in the late 1950s. The Bournemouth Aviation Museum houses a number of aircraft, aero engines, cockpits. Visitors are encouraged to climb into the cockpits and press knobs, turn dials, pull levers, etc. 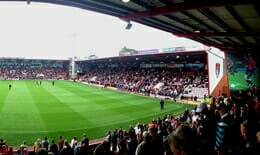 Dean Court, currently known as the Vitality Stadium for sponsorship purposes, is a Bournemouth‘s main football stadium and the home ground of A.F.C. 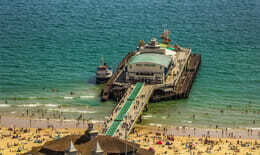 Bournemouth. 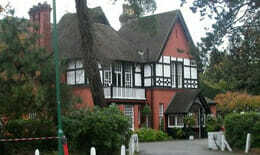 The Langtry Manor (formerly the Red House) is a country house hotel built by women’s rights campaigner Emily Langton. 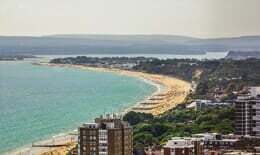 It is located in the East Cliff area of Bournemouth, England. The M3 motorway that runs from Sunbury-on-Thames, Surrey, to Southampton, Bournemouth, Hampshire, a distance of approximately 59 miles (95 km). 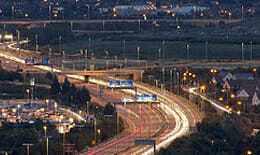 Along with the A316, the M3 provides the main artery into South West London.. The principal route to the town centre is the A338 spur road, a dual carriageway that connects to the A31 close to the Hampshire border. 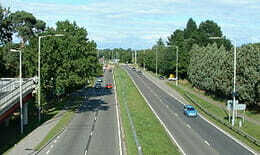 The A31 joins the M27 at Southampton and from there the M3 to London and the A34. The Russel-Cotes House, East Cliff Hall in Bournemouth was one of the last Victorian houses to be constructed in the UK. 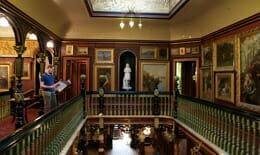 It presently houses an renowned art museum and garden..